Eight years ago was the worst summer of my life. A long relationship had ended in the the spring in a not-so-nice way and I felt very lost. I had an exchange semester ahead but I couldn’t enjoy the thought too much. If I had only known what those five months in Iceland would do to my life. I met the most amazing people, including Manuel, my partner in crime and life, and one of my best friends Sandra (who also lives in Helsinki, but I guess we had to go to a remote island in the middle of the Atlantic ocean to meet). With those people I drank liters of coffee, ate all the cake we could find in Reykjavik, knitted many ugly socks, swam in hot rivers, crossed ice cold rivers barefoot, sat on the floor of a small record store listening to bands that play in other countries in big concert halls, drove scary mountain roads that on the map looked like regular roads but turned out to be a challenge for a small rental car. Little by little painful memories were just memories and I was feeling like myself again and happier than in years. 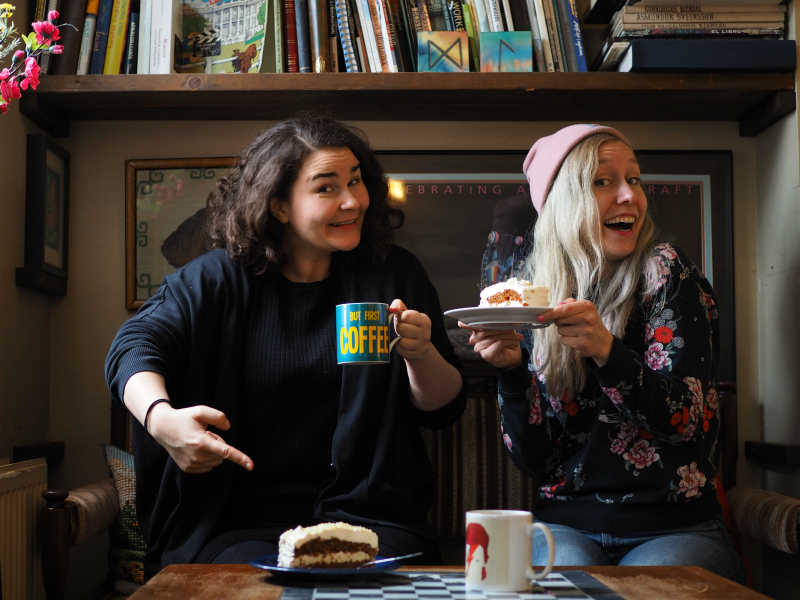 The things that haven’t changed: vegan carrot cake at Café Babalú in Reykjavik. 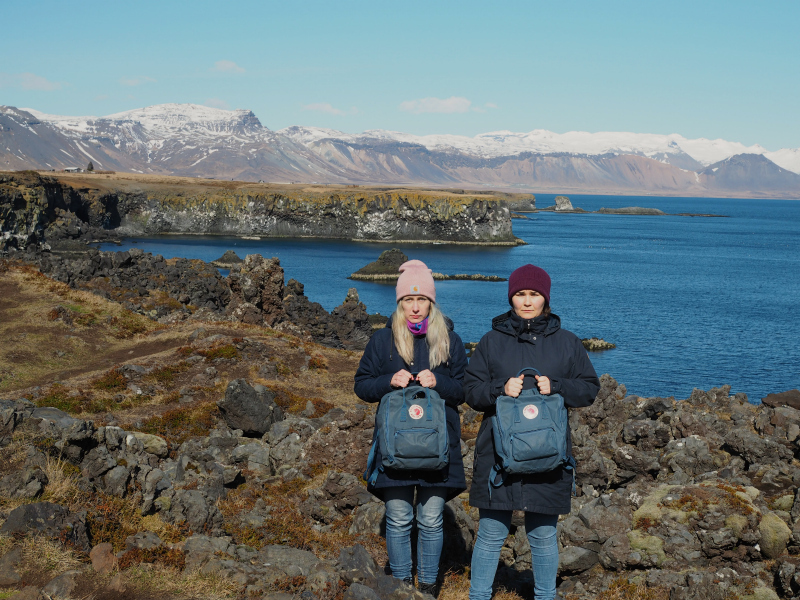 When me and Sandra decided it was time to go back to Iceland, I was excited and also a bit scared. I had all these beautiful memories and all that nostalgia in my head. What if it would be disappointing to visit places that were so special back then and now they were just… blaah? I should have not worried. Many awesome memories were flooding back in almost every street corner. Reykjavik had of course changed, it had been eight years. 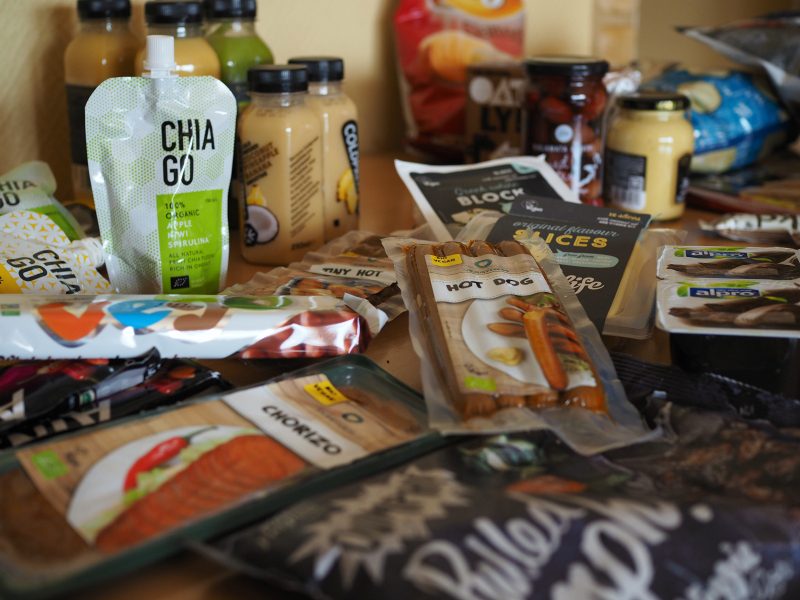 Even though some were not so pleasant changes, there were so many new good things like the vegan scene that was almost non-existence during my study times. I wasn’t vegan myself at that time, so I was really excited to see the city with new eyes. 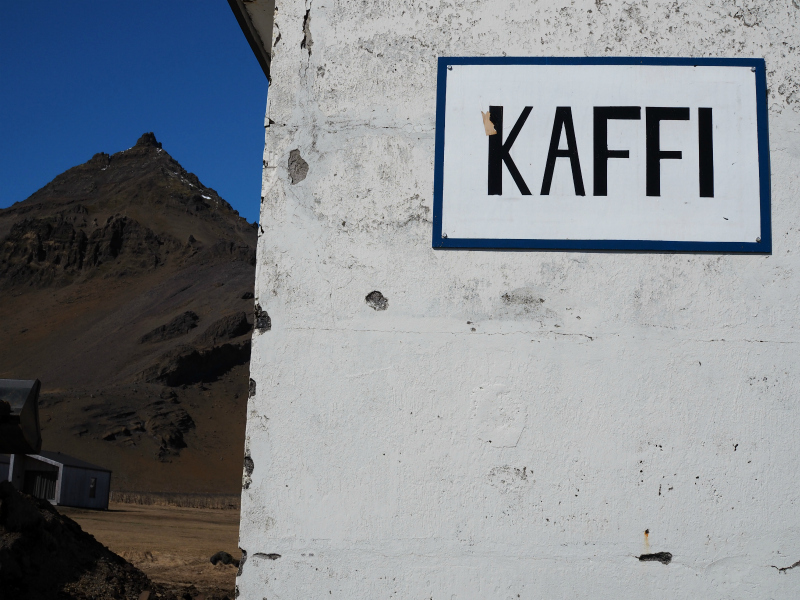 Anyone who has visited Iceland knows that you get overwhelmed right away. There is so much to see that you want to run from one place to another. We wanted to avoid that and took it really easy. We rented a car and drove for one week mostly in Snæfellsnes peninsula, that is actually not so huge. I had been there twice before but it is one of my favourite places with so many different landscapes. Within ca. 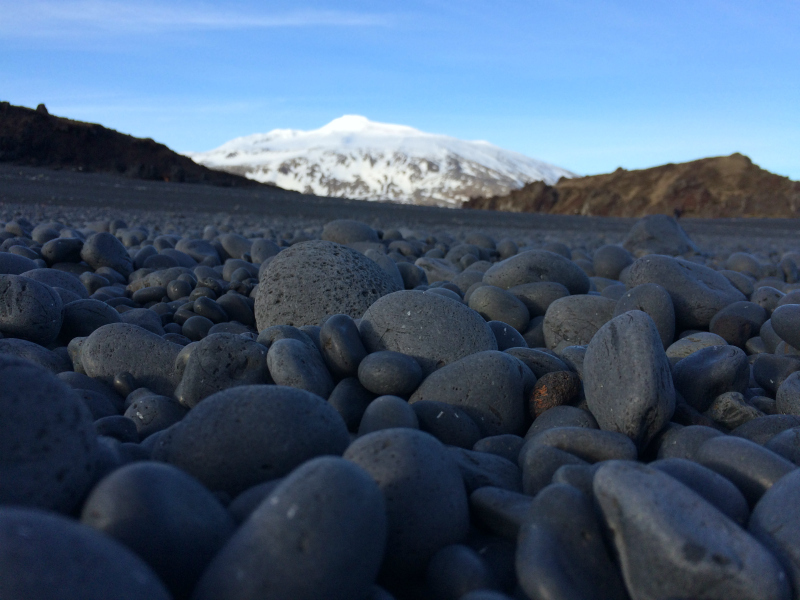 hundred kilometers you can walk on both white and black beach, visit lava fields and be mesmerized by the gorgeous Snæfellsjökull glacier. Beach in the south part of Snæfellsnes. 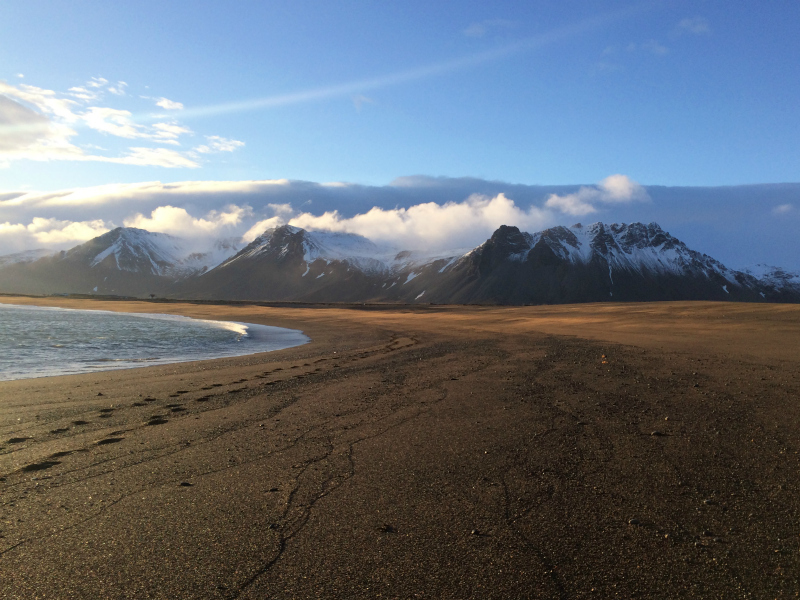 Djúpalónssandur beach and the Snæfellsjökull in the background. One of the many swims. Since there was no hurry, we spent around two hours in a food store just amazed by the selection, wrote poems to a café’s guest book, spent one stormy day in a hot pot in a local swimming hall. We had a walk on a beach where seals greeted us from the water, went for a dip to every single hot spring we encountered – and found ourselves driving snowy mountain roads with a small rental car. Some things don’t change. Upgrade for the previous trips? We ate burgers! Most of the time we were enjoying all the glorious food we found in the supermarket, but there is always space for a burger when you find one. Burger Missionaries from Finland. This happens when you spend too much time together. We had matching coats, jeans, bags, water bottles, rain coats and even swimwear. This was not planned. 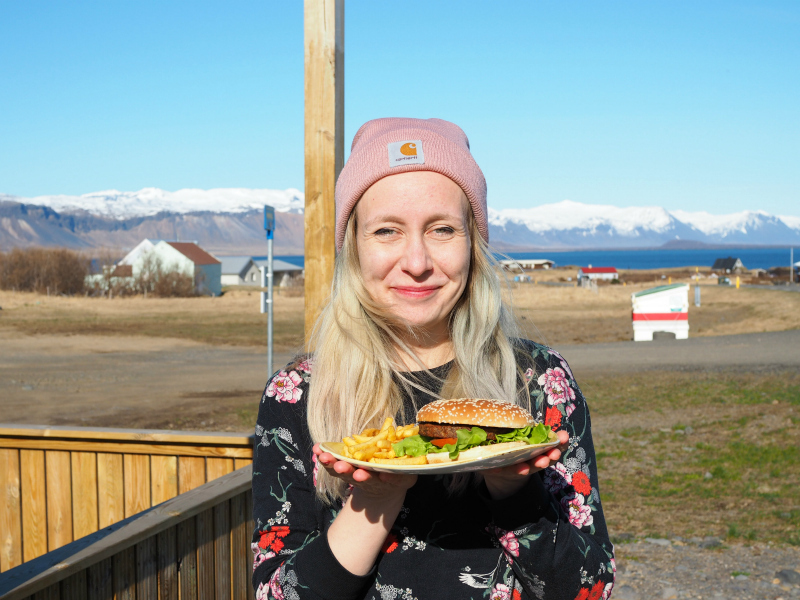 We made an accidental burger stop at Arnarstapi in the south coast of Snæfellsnes. We were going to walk from Arnarstapi to Hellnar (and back). The path goes next to beautiful coastline filled with birds nesting and amazing snowy mountains in the background. When we parked the car, we noticed a sign that said “vegan borgari”. The restaurant called Stapinn was closed but after we had enjoyed a coffee break at Samkomuhúsið it had opened (that might tell something about the length of our coffee break). We decided to reward ourselves after the walk with a burger. Cross stitching goals in Samkomudhusid in Arnarstapi. Hike was over, time for burgers! I didn’t have too high expectations, I thought it was amazing that pretty much in the middle of nowhere there was a restaurant with a vegan burger. But it was actually a really good burger at Stapinn! It had lettuce, tomato and bbq sauce between a regular bun. 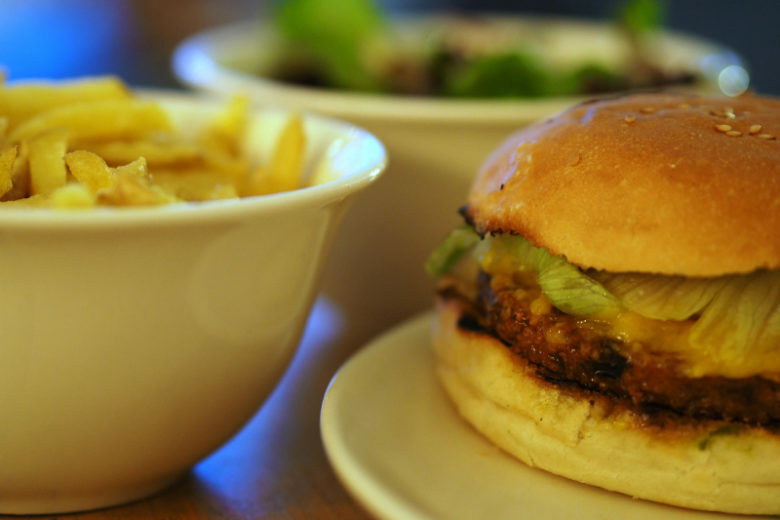 What made this burger was the patty that was meaty and even a bit crispy. 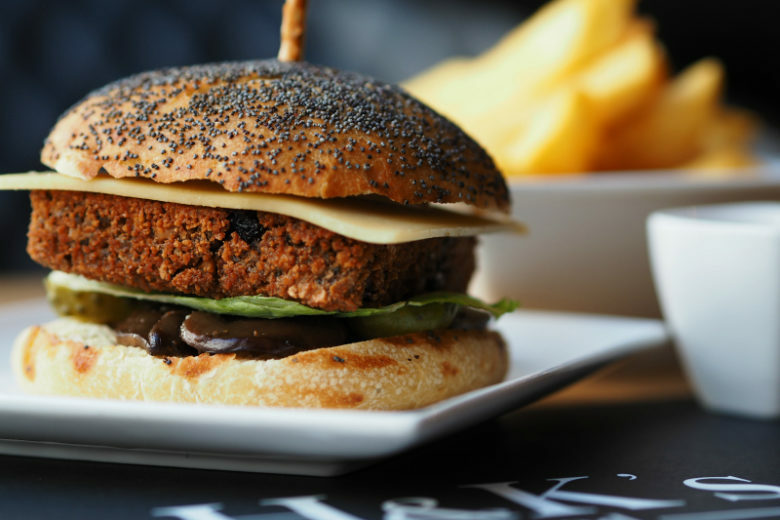 These surprise vegan burgers in small towns are the best, a tiny positive sign that the world is changing. I wouldn’t mind to eat in this scenery everyday. 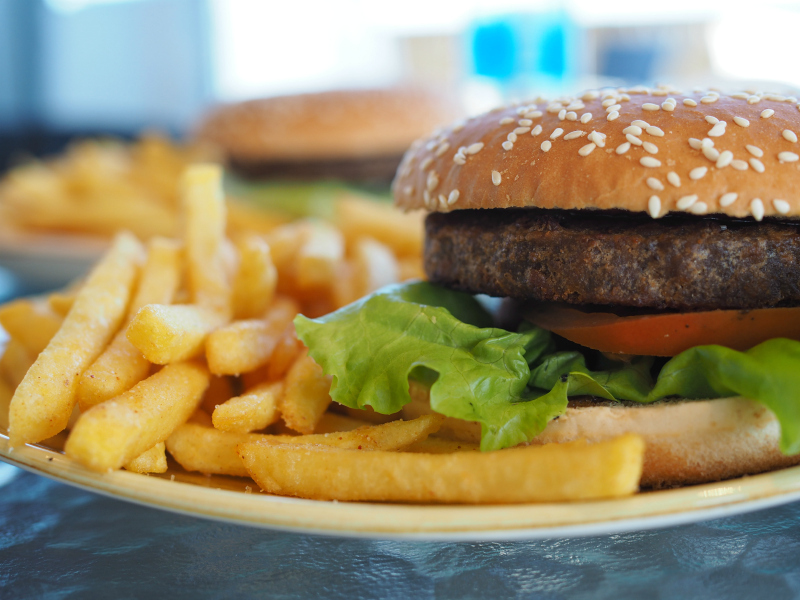 When you are on holiday, there is a possibility to eat a burger for breakfast. We got with our rental car keys a free coffee at a gas station that also hosted a burger joint Grill 66 (got to love the name). 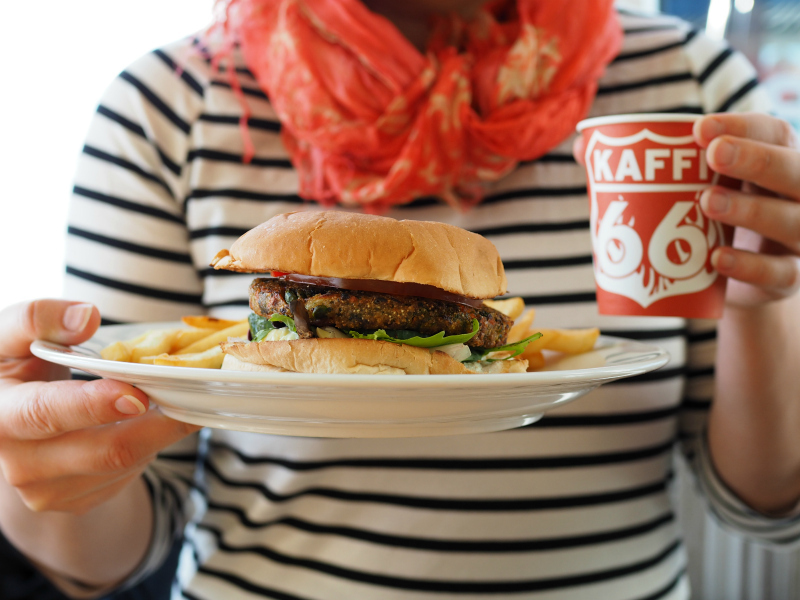 Morning coffee + burger = surprisingly good. 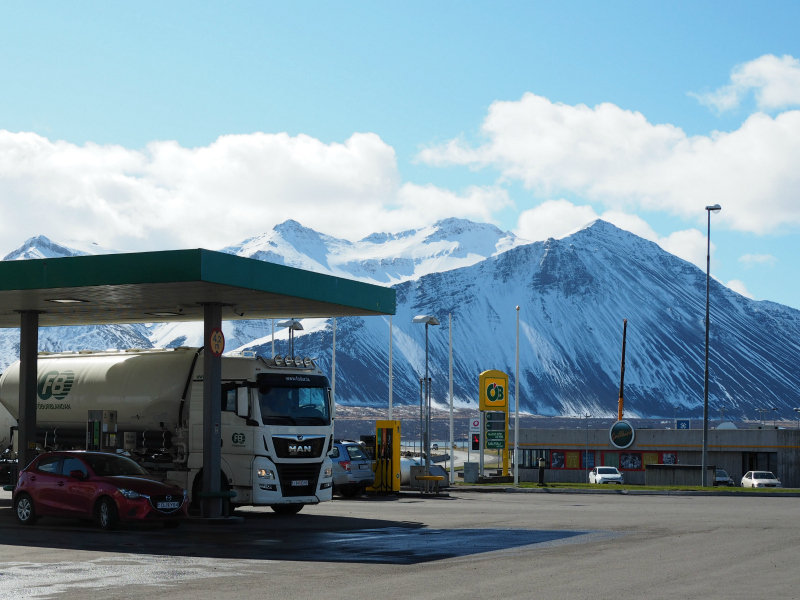 We ate at the Grill 66 in Borgarnes and have to say, that I have been to gas stations with a worse view. Gas station with a view. The burger had a vegetable patty, veggies and even mushrooms. My favourite part? It had vegan mayo! The patty was not the best, but I would eat this again. 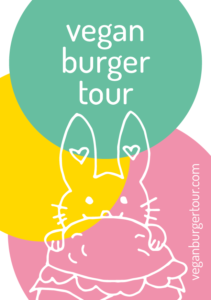 There is also vegan burger in Aktu Taktu hamburger chain that I wanted to try but didn’t this time. I think I am just making excuses to visit Iceland soon again. How to end an epic road trip in an unforgettable way? 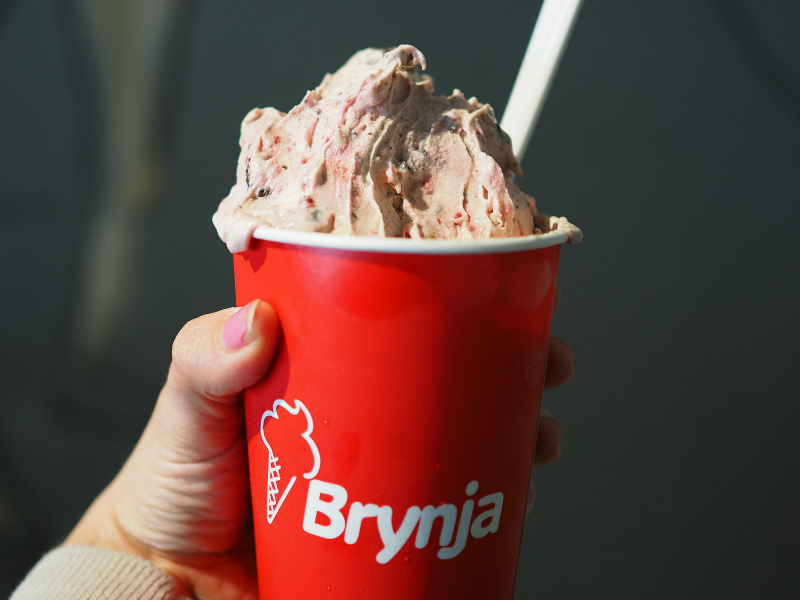 Eat crazy amounts of ice cream when it is snowing outside. 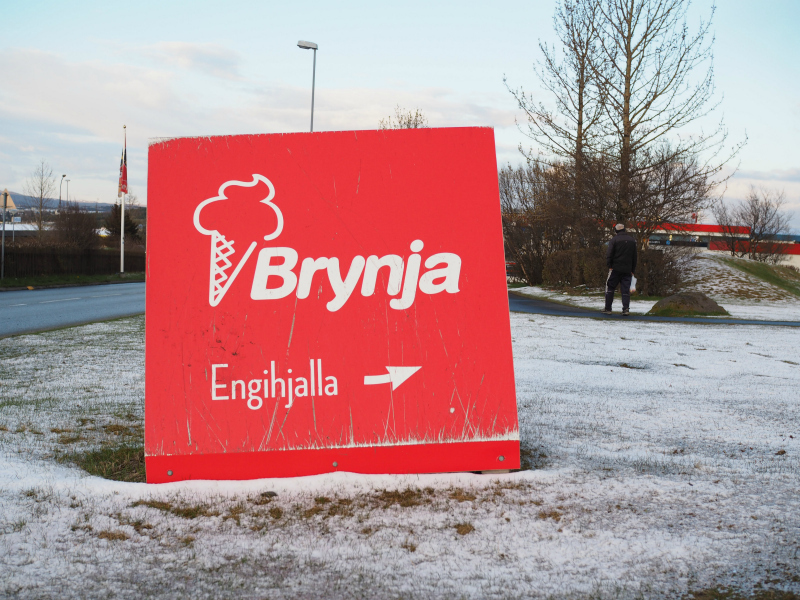 We had heard of Brynja that serves also vegan ice cream. 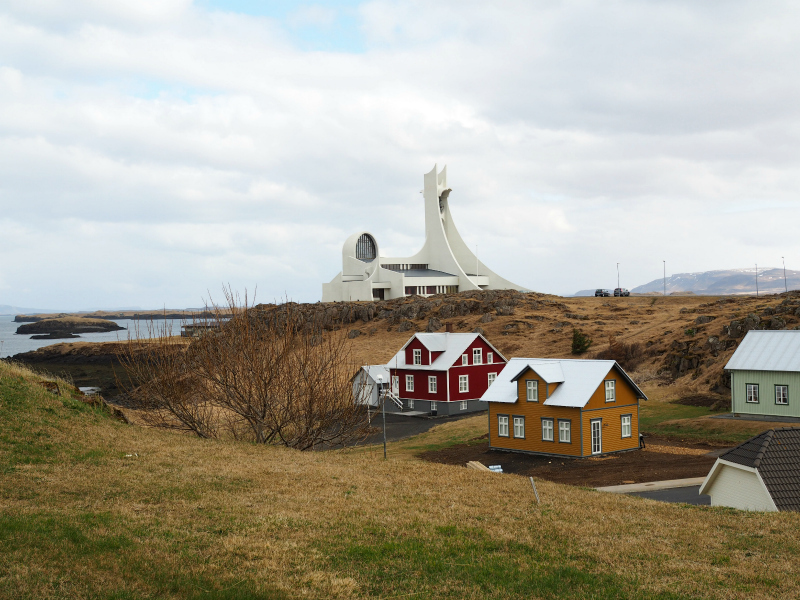 They are located in Akureyri in the north, but also in Kópavogur, a city next to Reykjavik where we left our rental car as well. Yes, it is May. Yes, there is snow. Yes, we wanted ice cream. We chose vegan vanilla ice cream and to mix with it cookie dough, oreos and raspberries. There were tons of options and vegan ones were well marked. Our choice of size was medium that turned out to be a half liter cup. No need for dinner that evening! 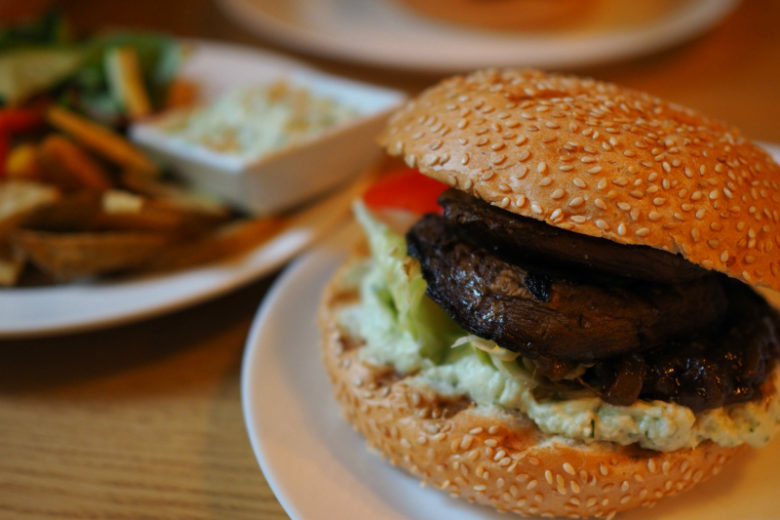 The next day I was again ready for food and had the most amazing burger at Veganæs. After that it was time to go to Sundhöllin swimming pool. Just like back in 2010. 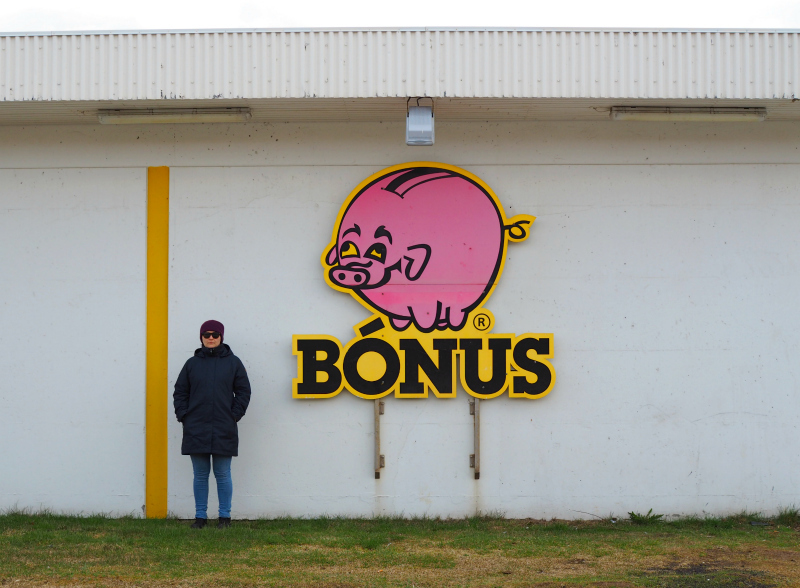 There are couple bigger supermarket chains in Iceland. My study time favourite was Bónus, just because of the hideous pig logo (see below). Now we did also shopping in Krónan. Luckily this logo has not changed in 8 years. Before we visited a supermarket we visited a small store in the center of Reykjavik and were shocked with the prices. When we were in Iceland last time, it was the bank crisis and it was actually cheaper than in Finland. Now it definitely was not, but we were relieved in Krónan outside the city that the prices were actually not as bad as we had feared. The vegan selection both in Krónan and Bonus was surprisingly good. We spent many hours in Krónan emptying the shelves and admiring all the products that were not there eight years ago. 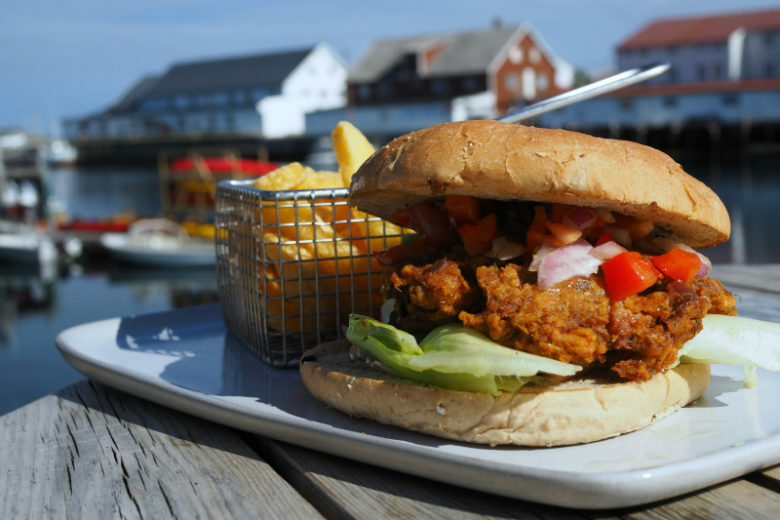 Food tourism at its best. On the way we also shopped at Bónus and found some things that were not available in Krónan, e.g. Linda McCartney’s sausages and vegan candies. I recommend to shop as much as possible near Reykjavik, where the stores and selection are bigger. Then when you just need that candy or chocolate, there is a good chance you find them also in a smaller town. Treasures from Krónan: vegan sausages, Oumph!, Vego chocolate, chocolate pudding, cheese… No need to be hungry! 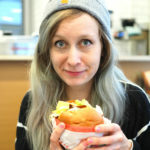 Btw, my thoughts on burgers are now also available in Icelandic:). Fréttablaðið, an Icelandic newspaper, made an article that you can check out in here. Burger count 17 countries, 33 burgers.